ABLE were delighted to host a meeting of the London Section of the IMC recently. 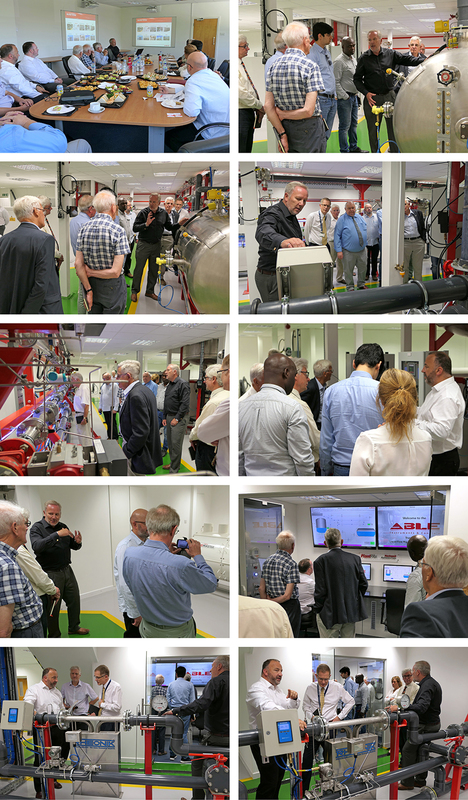 The meeting was held over a convivial lunch and the Institute were given a presentation regarding the latest developments and product innovations at ABLE, and a full, practical demonstration of the new training rig, including Rockwell’s integrated PlantPAx Distributed Control System. In addition to the wide diversity of process control instrumentation, ABLE’s Master Series of products provoked much discussion, particularly the acclaimed SlugMaster Intelligent Ultrasonic Flow Meter and the flagship MudMaster Mud Drilling Analyser. ABLE are a long standing companion member of the IMC and regular participants in both the Institute’s formal and recreational events. ABLE will be working closely with the IMC to gain the latter’s official approval for its soon to be published training course program.